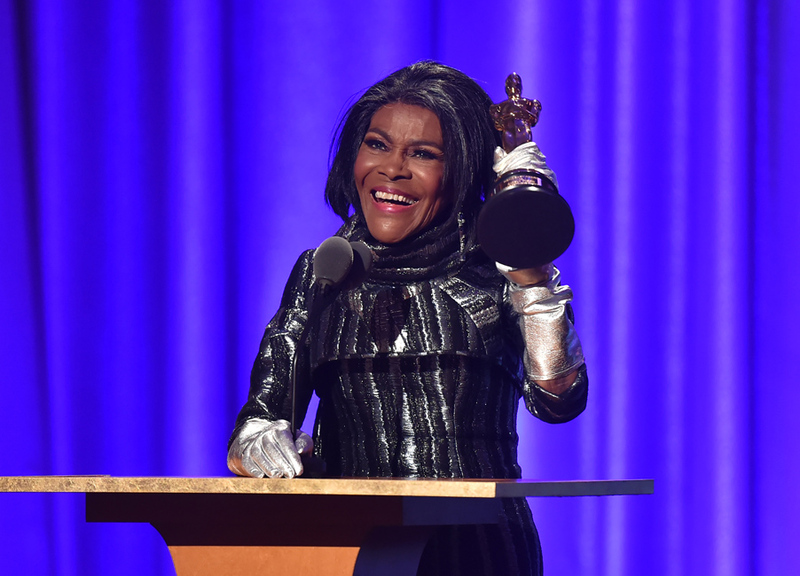 Screen and stage legend Cicely Tyson made history Sunday night when she received an honorary Academy Award at the 2018 Governor’s Ball, becoming the first African-American woman to receive the honour. The 93-year-old, who began acting at the age of 27, is a trailblazer for African-Americans in the entertainment industry, opening doors for generations to follow while working with some of the most famous stars in Hollywood. Tyson, who was nominated for Best Actress for her role in 1972’s Sounder and who starred in films like The Heart Is a Lonely Hunter, Fried Green Tomatoes, and The Help, was presented with her honorary Oscar by actor and filmmaker Tyler Perry, legendary producer Quincy Jones and director Ava DuVernay. “Her work, grace, dignity, class, humility and profound professionalism firmly placed her on the pedestal of Hollywood royalty, and now, at long last, I could not be more honoured to say that tonight, Cicely Tyson receives her more than well-deserved Oscar,” Jones, 85, said during his presentation. DuVernay, meanwhile, had asked a number of African-American performers and filmmakers to sum up Tyson in one word and then recited their answers in tribute to the actress. They included “nobility personified” from Oprah Winfrey, “a treasure” from actress Taraji P. Henson, “groundbreaking” from actress and singer Amandla Stenberg, “legendary,” from TV producer and writer Shonda Rimes, “our muse” from Oscar winner Viola Davis and “flower” from DuVernay herself. A video tribute to Tyson, who’s also won three Emmys and a Tony Award among her many accolades, played before the actress herself took the stage. She thanked those colleagues and friends who’ve helped her along the way, including Arthur Mitchell, the pioneering African-American ballet dancer, choreographer and entrepreneur who accompanied her to the Academy Awards when she was nominated in 1972. He’d predicted she’d win the Oscar that night and so, this year, she called him and left a message asking him to accompany her to the Governor’s Ball to finally nab her overdue statuette. She didn’t know at the time that Mitchell was ill. He died not long after her call.